This two-day program includes lectures, exercises, simulations, videos, discussions, group and table-team work, and demonstrations covering key Process Improvement (PI) methodologies (Lean, Six Sigma), tools and concepts, and the stages of Project Management (PM). The course is constructed so that each table-team selects a legal or business process to use for the workshop components of the course and then engages in exercises that facilitate the ability to learn and apply concepts and tools in the context of that process. We incorporate examples and case studies from law firms and legal departments to enhance understanding. After the program, all candidates who successfully complete the course will receive their Yellow Belt Certification in Legal Lean Sigma® and Project Management from the Legal Lean Sigma Institute. Explain the basic concepts and terminology associated with processes, process improvement and project management. Define the case for carrying out process improvement systematically and the benefits of combining Lean Sigma and project management within a law firm or legal department. Describe the key process improvement toolkits (Lean, Six Sigma) and the main concepts behind each as well as alternative approaches (Kaizens, Legal WorkOut®). Identify the key stages of project management. Detail the structure and key deliverables in the five phases (Define, Measure, Analyze, Improve, Control) of executing a process improvement project and the key deliverables required in each. Recognize the major steps and most common tools used in each phase of a project. Apply common tools used in project management. State the financial aspects of project management, including budgeting, total cost of ownership, and scope changes. Indicate what is required to move beyond carrying out process improvements opportunistically. Catherine Alman MacDonagh, JD, teaches and provides training and consulting services in process improvement and project management, strategic planning, marketing and business development. A Legal Lean Sigma Black Belt and a certified Six Sigma Green Belt, MacDonagh is the Chief Executive Officer and a Founder of the Legal Lean Sigma Institute (LLSI). 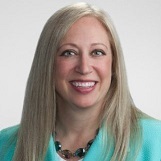 A former corporate counsel and law firm executive, she is now an adjunct professor at Suffolk Law School and George Washington University's Master of Law Firm Management Program, as well as the author of Lean Six Sigma for Law Firms. Frederick J. Esposito, Jr., MBA, CLM, is Chief Operating Officer of the regional law firm Rivkin Radler LLP, and has more than 25 years of law and accounting firm experience. He is a frequent speaker and author of articles on a wide-range of topics, including alternative fee arrangements and law firm profitability models. In December 2016, he became a Faculty Advisor for the Nassau County Bar Academy of Law, in June 2013, he was inducted into the National Speakers Association and in 2012 was named Long Island Business News' CFO of the Year. 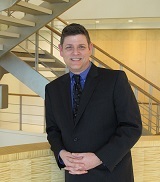 He is the only Certified Legal Manager on Long Island.